WWE COO The Game Triple H is famous for his unique entrance styles and every year at WrestleMania, HHH does not disappoint his fans. 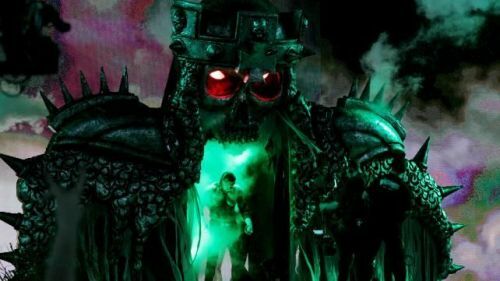 HHH vs The Undertaker is scheduled to happen at WWE Super Show-Down and WWE is promoting the show like it's WrestleMania, so the expectation for Triple H for another memorable entrance is very high. In front of an expected 100,000 fans in Melbourne Cricket Ground, Triple H could make another of his elaborate entrances. But before that, let's take a look at top four entrances of Triple H in WWE. The main event of WrestleMania 22 was John Cena vs Triple H for WWE Championship, and it was also remembered for the unique entrances of both Cena and Triple H. HHH came out dressed as a Conan type king on a throne and the initial graphics shown on the screen were also excellent. He used the "King of Kings" song, and the entrance was a bit short compared to his other WrestleMania entrances.